Find Cicero, IN Homes for sale. View Photos, Maps and MLS Data Now! 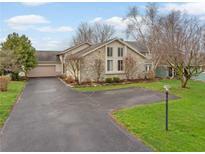 Cicero Shores - Forget the fixer upper and start enjoying lake life! MLS#21633802. CENTURY 21 Scheetz. Cicero Shores - Perfect location, close to parks, restaurants (Wolfies), & Morse. MLS#21631898. Berkshire Hathaway Home. Golf cart community. Close to Morse Reservoir. MLS#21632837. F.C. Tucker Company. Forest Bay Estates - Lakefront 4 bedroom/3.5 bath ranch in no wake zone & on 1.2 acre lot* Spacious great room with soaring Cathedral.ceiling & floor to ceiling stone fireplace* breakfast room has vaulted ceiling w/skylight & overlooks deck, trees & water* Laundry w/ sink, cabinets & counter* master suite boasts private deck overlooking trees & water, walk in closet, bath w/ vaulted ceiling, skylight, jetted soaking tub, Seperate. shower & double vanities* Wlk out basement offers wet bar, family room with stone fireplace, 4th bed w/walk in closet & full bath* Anderson windows, HVAC new in '16, dock & shed* MLS#21631118. F.C. Tucker Company. The house was rebuilt in 2017, with a new roof, floor system, layout, plumbing, doors & windows, electrical, floors, trim and paint. Welcome Home! MLS#21632552. RE/MAX Edge. Greystone Village - Home is close to Morse Reservoir, shopping, and entertainment. MLS#21632392. United Real Estate Indpls. This home is currently home to fabulous renters, so please give us reasonable time to schedule your visit. MLS#21631657. Berkshire Hathaway Home. 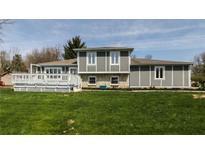 Cicero Shores - Fabulous water views. A must see! MLS#21631439. Berkshire Hathaway Home. 3 Bedrooms, 2 full baths, Covered front and rear porches and patio. MLS#21630695. F.C. Tucker Company. Baycrest - Not to mention the fenced backyard with firepit area! NO Homeowners Association! MLS#21628000. CENTURY 21 Scheetz. Washington Glass - Large area on rear (East) of lot for parking or a shed. MLS#21629006. Carpenter, REALTORS®. So much to see that it is best done with a private tour. MLS#21628911. Keller Williams Indpls Metro N.
Hidden Bay - Lovely lot on Cul-de-sac, Walking Distance to Red Bridge Park and Cicero Boat Dock Slip rental area, Cicero Community Pool. Low property taxes. MLS#21628002. CENTURY 21 Scheetz. Stillwater Cove - Many equipment features such as: dual zone HVAC, tankless H2O heater, RO system, 2 washer/dryer hookups. The list goes on! MLS#21629116. Sold It Realty Group. FYI Cicero is a golf cart friendly community :-). MLS#21626860. Keller Williams Indy Metro NE. Cicero Shores - Watch Boats All Day & Then Enjoy The Magnificent Sunset Every Afternoon! MLS#21623541. Carpenter, REALTORS®. Open floorplan; large gourmet kitchen w/ breakfast bar, white cabinets, pantry, Gas cooktop, stainless steel appliances, walk in pantry; desirable 5th bedroom on main floor with full bath; mud room w/lockers; spacious upstairs loft; master suite w/vault ceilings; garden tub/Seperate shower; crown molding; cvd oversized rear patio; extensively landscaped; firepit; expanded driveway; 3 car garage! MLS#21622927. 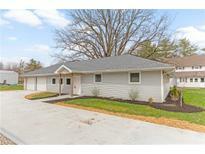 Keller Williams Indpls Metro N.
Come take a look and put your personal touches on it! 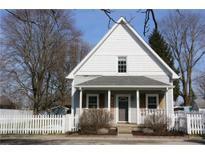 MLS#21619386. Keller Williams Indpls Metro N.
Home has closed loop geothermal. Seeing is believing! 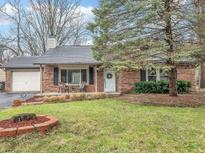 MLS#21619197. RE/MAX Ability Plus. Vintage Woods - Walk-out basement and path to creek. MLS#21614433. F.C. Tucker Company. Sit on your private patio overlooking the well manicured grounds and relax. MLS#21614688. F.C. Tucker Company. Stillwater Cove - builder has thought of everything! Currently under construction. MLS#21613585. Keller Williams Indy Metro NE. Two car attached garage and fenced in yard. MLS#21610951. F.C. Tucker Company. 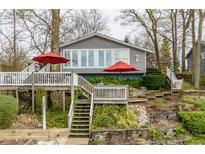 Morse Landing - Relax and enjoy the screened in porch and two decks all overlooking the lake. MLS#21610434. Coldwell Banker - Kaiser. 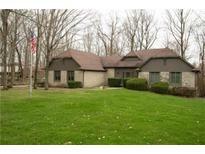 Cicero Shores - Small Town - Quiet - Boating - Great Dining - Quick Commute to Noblesville & 31 to get Downtown! MLS#21608194. Carpenter, REALTORS®.